The COLOR Issue Vol. 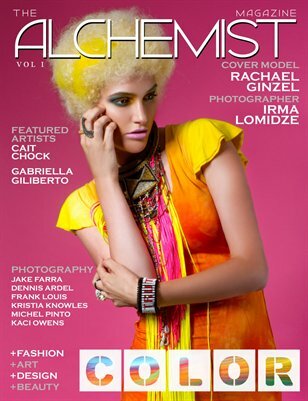 I of The Alchemist Magazine features model Rachael Ginzel on the cover photographed by Irma Lomidze. The issue also features photography editorials by: Jake Farra, Dennis Ardel, Frank Louis, Kristia Knowles and Michel Pinto. Featured Artists:Cait Chock and Gabriella Giliberto.